Self-propelled, high-capacity mower for large areas. 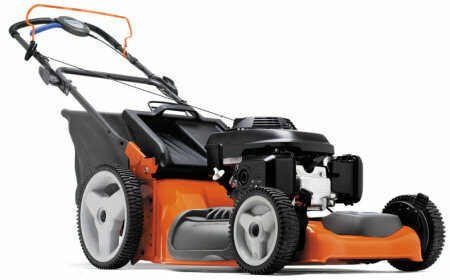 Equipped with a wide, robust steel cutting deck and an easy-start engine from Honda. Big rear wheels give easy maneuverability. Further features include TrioClip, variable drive speed and an extra large collector.